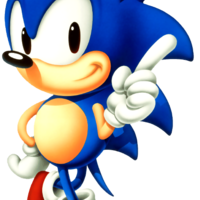 A dub to celebrate 25 years of gaming for Sonic the Hedgehog, to be posted on my channel on the 23rd of this month, the official date of Sonic's birthday! Good for him. :) Here's to another 25! Time to fry some Eggman, Super Sonic style! We have to fix everything soon, or there won't be a tomorrow! (after his friends are taken by Time Eater) Hey! 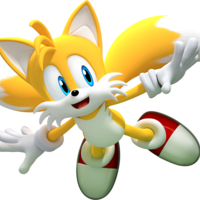 Tails has been Sonic's best friend from the very beginning. He is 14 years old, but very intelligent. He should sound it and also have a very slight accent. Get ready! 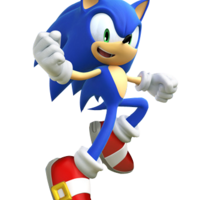 He'll be here...(panting, being followed by Sonic)...any second! It was horrifying! Trapped without a body in some kind of weird black limbo! I'm gonna have nightmares for weeks. 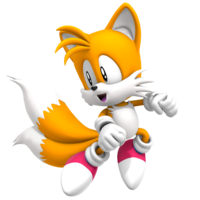 He needs to sound a little higher pitched than Modern Tails, but not WAY higher. He needs to sound between the ages of 6 and 8. We're traveling around through time and space! You can do it, Sonic! 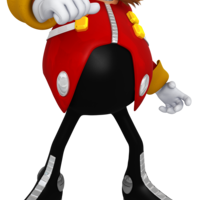 Make him sound a little more menacing than Modern Eggman. That's pretty much the only rule. 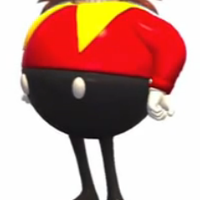 I am overwhelmed by your praise, most gracious and glorious Eggman of the future! I'm going to dedicate my life to forgetting it. Do your own take on the mustachioed evil scientist that we all know and love to hate. That was just to soften you up!